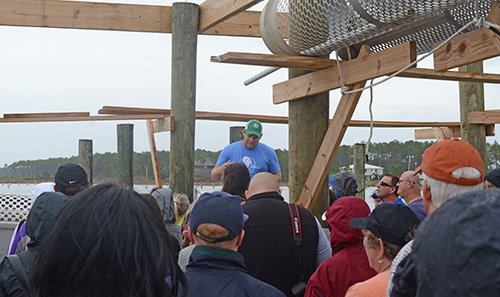 Day 1 of the Blogger Summit at the World Food Championships was session based but Day 2 was a field trip to Bayou La Batre to learn first-hand about Alabama's bountiful wild seafood and the industry's practices to keep that seafood abundant for generations to come. The weather on the Gulf Coast is typically warm, sunny, and beautiful. Even in early November, temps are in the mid-70's and bright. Of course, Murphy's Law of Weather took effect and our all day outing was cold, windy, and rainy. 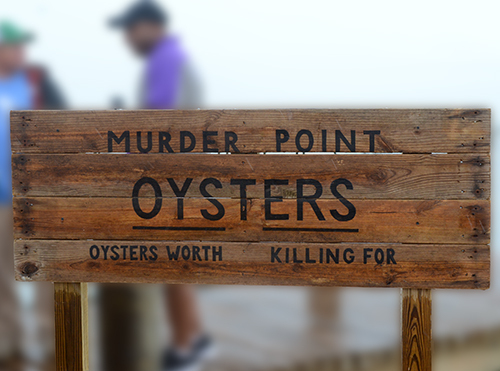 Our first stop of the day in Bayou la Batre was Murder Point Oysters. Yeah, I know, your first question is the name - yes, in 1930, one oysterman murdered his competition over the lease on the oyster area and ever since, this place was known as Murder Point. 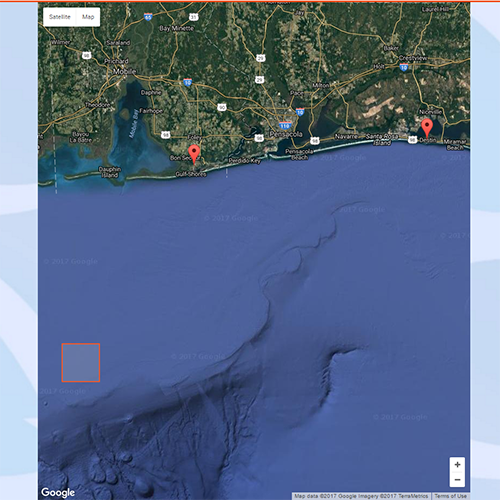 It allows you to select the best location in terms of things like water flow, oxygen, and water salinity. It keeps the oysters cleaner, minimizing fouling from silt and barnacles. It enables roughing up the edges of the shell, which causes the oyster to grow more "cupped" compared to the flatter, shallow oysters growing in the wild. It creates conditions that mimic extended low tide conditions. That causes the muscles to become more developed because the oyster naturally "holds tight". 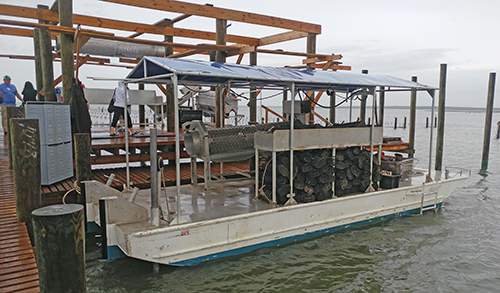 It allows for the oyster to go from being harvested to being on a refrigerated truck for delivery in 10 minutes. These are the baskets that Murder Point Oysters use. The oysters attach inside of these and then these are suspended up off of the bottom. 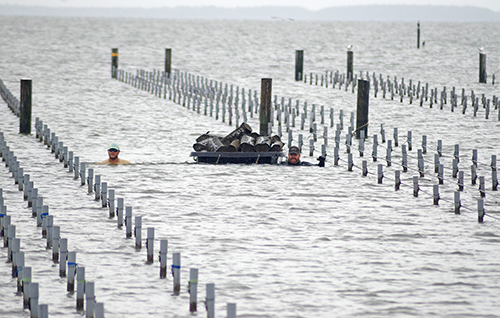 This is what an oyster farm looks like. 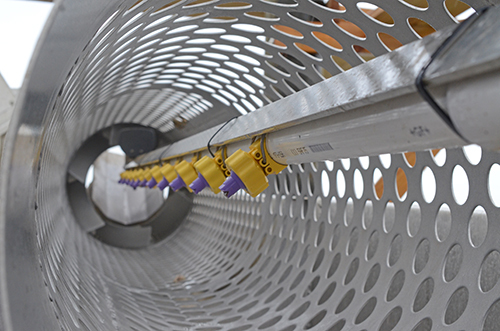 These are "Australian long lines" and suspend the baskets at the proper depth. This is a Quick Sorter used to tumble and clean up the oysters. This party barge is used for processing when demand and conditions allow. Luke Zirlott explaining their farmer operations to the food bloggers. 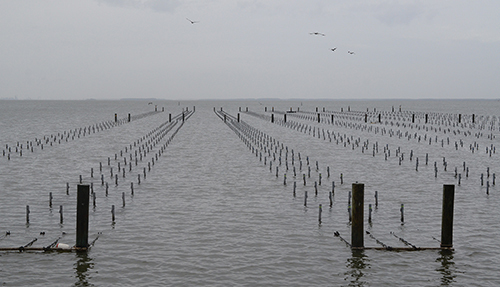 It costs more to do this and these oysters grow slower than bottom farmed oysters, so why do it? Because it produces a premium oyster with a buttery taste. These oysters won't end up in a plastic tub at your supermarket - these are like prime beef - almost all of them end up at premium restaurants. 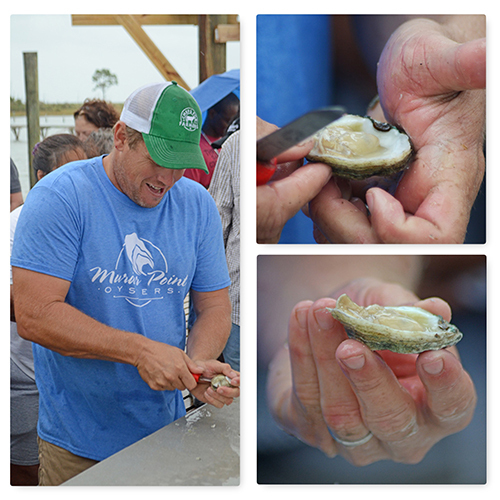 Literally the freshest oysters ever - they were out of the pristine Gulf waters just minutes before top food bloggers were savoring them. 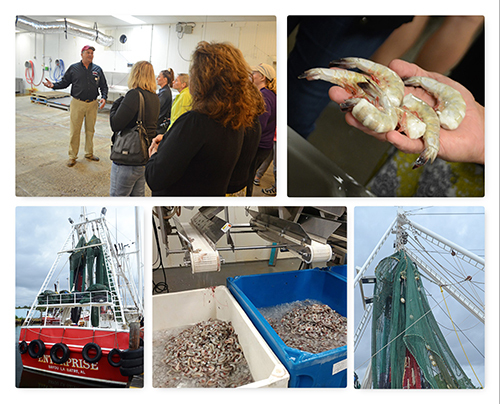 Next we headed over to Graham Shrimp Company where they have been harvesting the Gulf's bounty for four generations. When I grew up on the beaches in North Florida,I always watched in fascination at the shrimp trawlers going up and down just off shore. We bought our shrimp fresh in Mayport with the shrimp boats parked out back, coming back to the docks daily. But in the Gulf, it's different. These guys go out for weeks at a time, from Key West, FL to Brownsville, TX to bring in the best shrimp the Gulf has to offer. 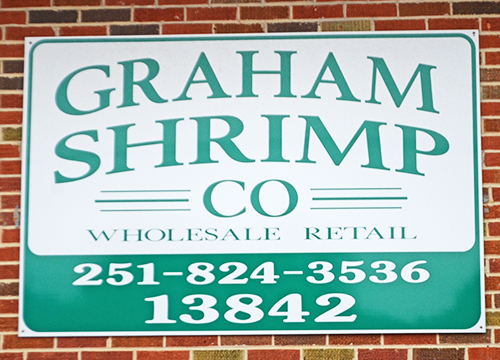 Graham Shrimp Company is one of the largest suppliers of IQF wild caught Gulf Shrimp. The Enterprise and a crew of 4 can haul 60,000 pounds of shrimp in 60 days, holds 50,000 gallons of fuel, and has facilities to individually quick freeze shrimp to -5°f. Ernie Anderson, bondsman turned shrimper, was a terrific host, showing us the entire operation from the back of the boat through where it loads on the trucks to restaurants and stores all over the Southeast. 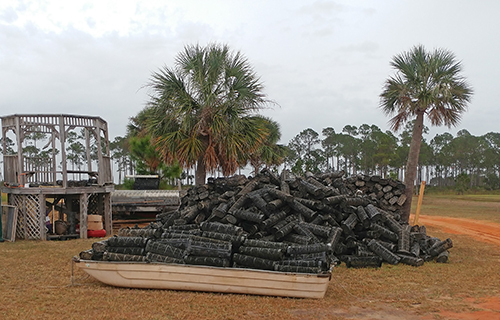 Any scraps of the shrimp (heads from headless shrimp) at Graham Shrimp Company are used in a venture that produces chitin - a natural substance used in agriculture, industry, and medicine. They land 17 million pounds of shrimp a year and process 45 million pounds in Alabama. 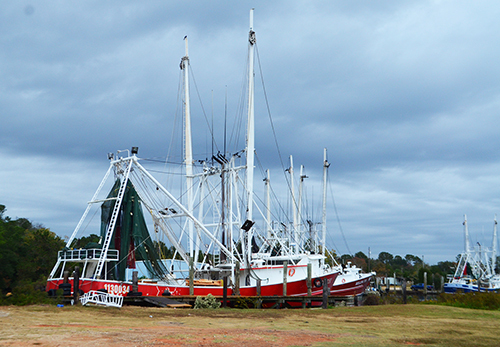 In 2005 there were 5,000 shrimp boats working the Gulf, today there are just 800. Our next stop was Olympic Shellfish, a crab fishery in Bayou La Batre. Here's a video of the arduous work of picking crab. If you don't watch the video, here are a few of the notes that I wrote down during our visit. Despite all of the advances in food processing, crab picking remains a 99.9% manual process. Indonesian and Thai imported crab is from a swimming crab, completely different from wild caught Gulf crab. Jumbo lump crab is specifically one part of the crab, regular lump is the smaller cavities, and the dark crab meat is crab claws. Whole crabs are sold for dollars per pound. Crabs used for lump are typically #4 crabs running about $.70 per pound, the smallest ones legally available for harvest. The crabs are boiled 700 pounds at a time. After touring these fishing companies, we went to the Bayou La Batre Community Center where Graham Shrimp Company and the Members of Organized Seafood. The buffet was loading with boiled shrimp, fried shrimp, fresh shucked oysters, marinated crab salad, and all of the fixings. Our final stop of the day was back in Gulf Shores at Lucy Buffet's restaurant, Lulu's, to learn about Fish Trax. 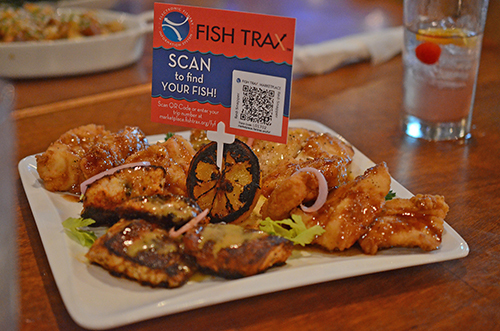 Fish Trax is all about using technology to advance accountability in sustainable seafood. It's a voluntary system that tracks fish from the point it is harvested until it hits the plate in front of you. For you and me, the consumer, that let's us rest easy knowing when, where, how, and who caught your fish. More importantly, this is providing amazing data that helps researchers, fishery managers, and the industry collect, share, and interpret information to help keep our oceans' resources available for future generations. 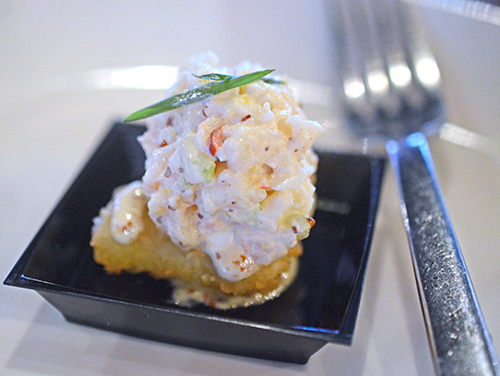 Chef Dylan Feekner prepared some special dishes including this shrimp salad topped fried green tomato that was a fantastic appetizer. Fish Trax works like this. Your fishmonger or restaurant gives you a card with a QR code like this. 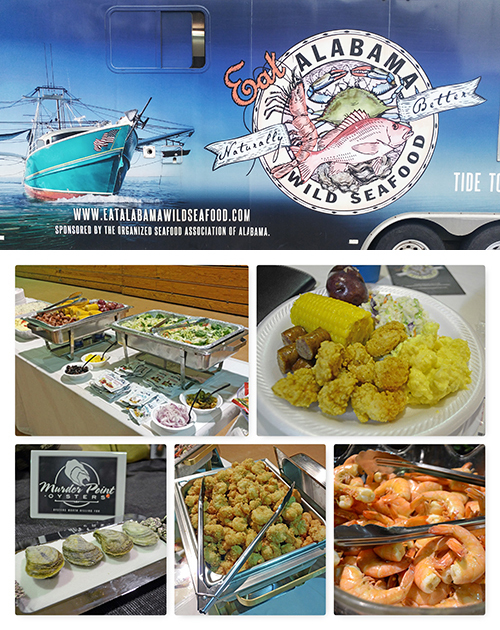 You can use your smart phone to pull up detailed information on your seafood. 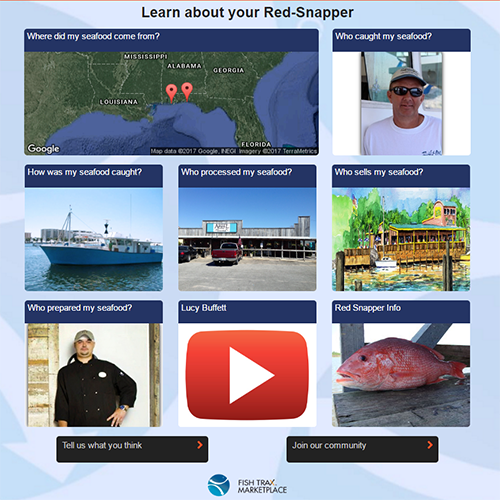 For example, the red snapper we were served linked to this information. It tells you who caught it, how it was caught, who processed it, who sold it, and who prepared it. Complete documentation of the fishery from harvest to plate - it's a pretty cool idea. It was a long day and I learned a TON of information. It wasn't mentioned on the tour, but I saw three common themes from each of these fisheries - family, pride in quality, and conserving for future generations. Day 3 was taking the E.A.T. Certification to add to my food judge certifications and that post is coming in a few days. The registration for entering the World Food Championships for 2017 is now open!